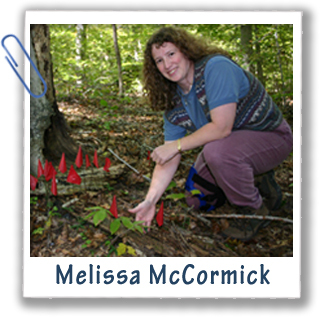 Melissa is a plant ecologist at the Smithsonian Environmental Research Center (SERC). She studies the interaction between plants and soil microbes. Why are soils like puzzles? I have always loved puzzles and soils are the ultimate puzzle! Soils have always been a "black box" because nobody could see what was going on underground. With new tools we get a glimpse inside that box and have found a lot of surprising things going on. These things are really important for how and where plants grow. Why do plants need fungi? Nearly all land plants depend on relationships with fungi living in the soil to get the nutrients they need. We are finding that disturbances and climate change affect plants more by affecting the fungi they need to survive. Many earthworms in the United States are not native. When these alien invaders move into forests they break up networks of fungi that plants need. This leaves plants with little of the protection against drought and pollution that their fungal partners would normally provide.